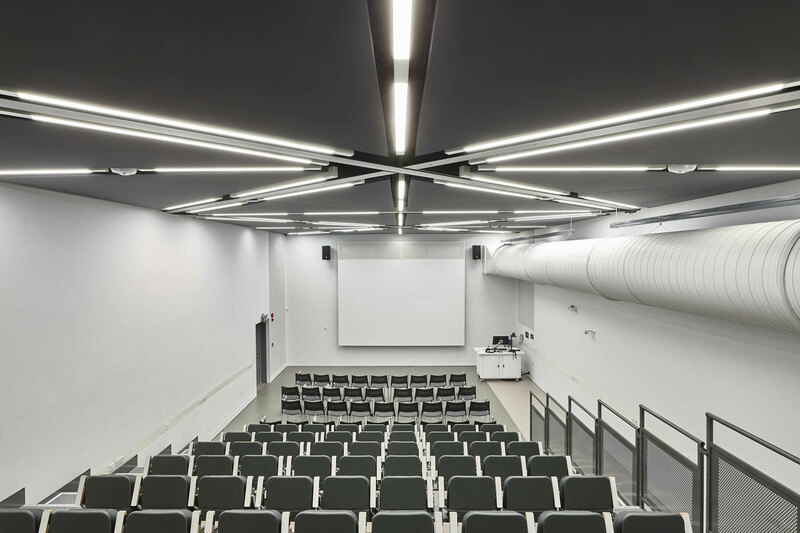 The new Southampton University School of Art lecture theatre in Winchester provides a reception area and a mobile, tiered lecture space for 300. 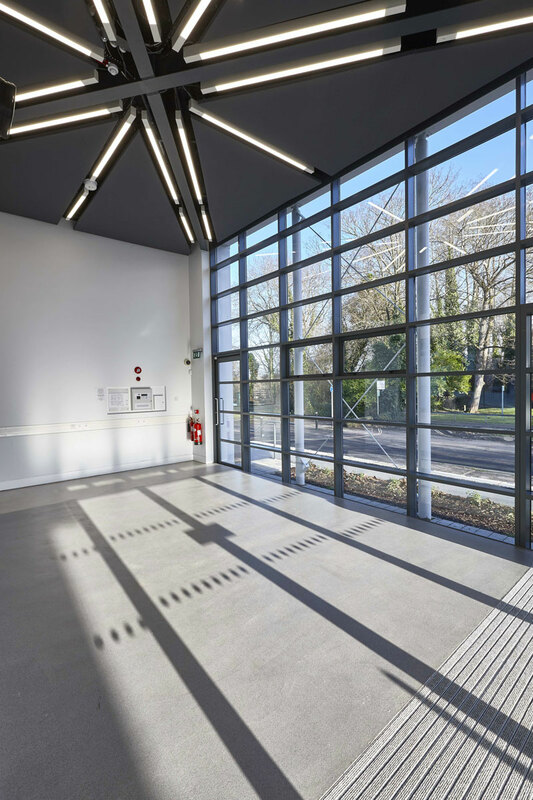 The entrance area space has a glazed façade and video wall that can be used for receptions and exhibitions. 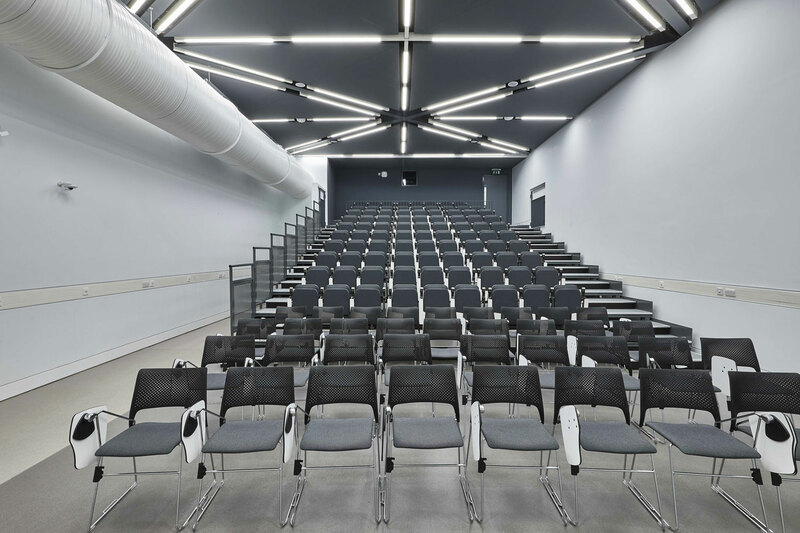 Access is provided to the flexible lecture space with retractable, tiered seating and both ceiling and wall hung sound moderation materials. 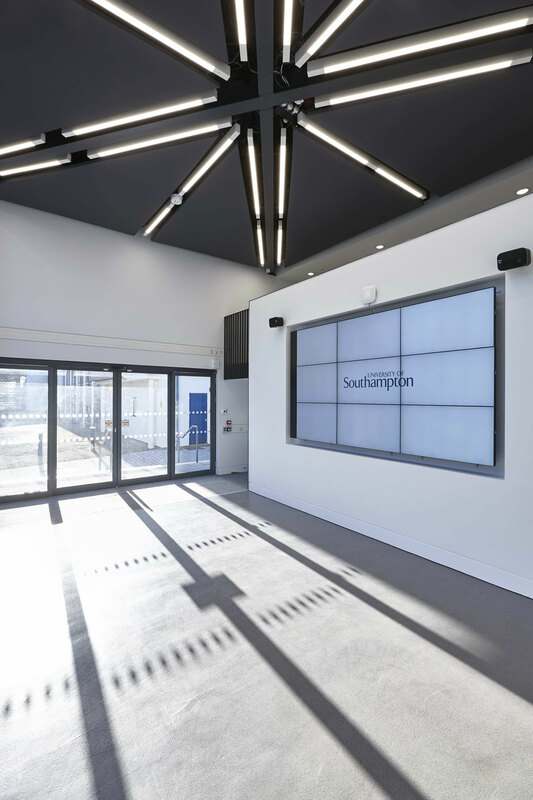 The entrance area has a mezzanine floor that provides access to the raised projection and sound control booth that overlooks the lecture theatre. The ceiling mounted sound attenuation panels have been designed in a triangular design radiating out from a central point. This creates an eye-catching design feature when viewed from the position used by the lecturer.